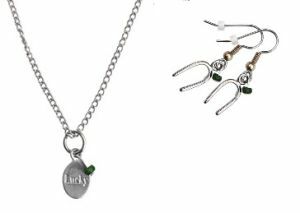 Wealth & Luck Necklace & Earring Ste. Dream Big, Prosper Greatly, Get Lucky A message in a bottle has been used for centuries to share messages around the world. Wear this necklace and your life can overflow with Good Luck and Great Fortune.